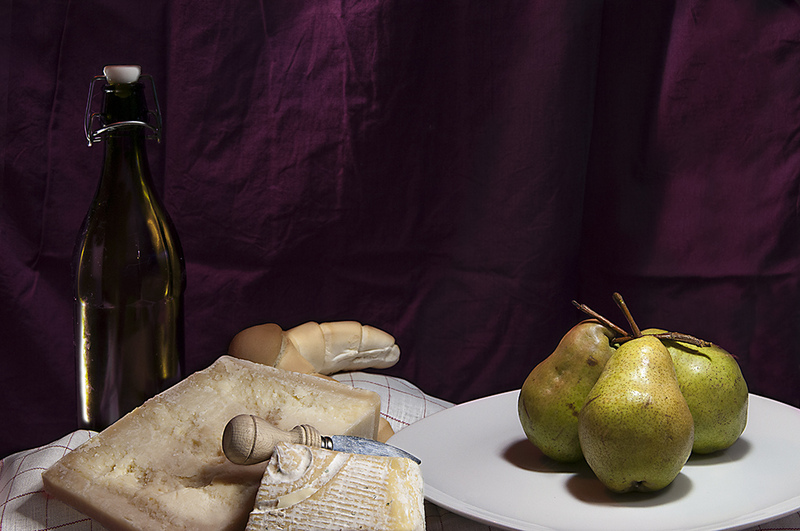 Did you ever tried to eat cheese with pears ? An old Italian proverb says: “Do not let the farmer know how good is to match cheese with the pears”. You might not expect it, but coupling cheese and pears results in a perfect match. But what is the meaning of this strange proverb ? Why the farmer should not know the secret ? The proverb comes from old times before the Middle Ages. The cheese was considered the food for the poor people at the times of the Greeks. It comes from milk and noble people were so crazy back at the ancient times to use it only for vanity purposes, for example the Roman women that used it for bathing in the Roman Baths. On the other hand the pear was very expensive and reserved for rich and noble people. In the Middle Ages also the rich people started to eat cheese and milk, because some new concepts about food were growing. The rich society understood that cheese and milk derivatives were healthy food, but they wanted to reserve their social difference. Here it comes the proverb, because the rich people were eating cheese with pears, but they didn’t want to share this habit with the farmers that were poor. It is a funny story from the middle ages, and now this proverb does not make too much sense 🙂 But still, if you never tried before in your life you should eat pears and cheese !! !